Detective Guo is one of those crusty late middle-agers who can thoroughly kick the butts of men less than half his age. In an American film, he might have been played by a Clint Eastwood or Tommy Lee Jones fifteen years ago. However, the hardened cop carries a lot of baggage that might finally catch up with him in Cheng Wen-tang’s Tears (trailer here), which screens this weekend as part of the San Francisco Film Society’s Taiwan Film Days at the Viz Theater. Guo has not cried in ten years, but he is clearly sick at heart. Separated from his wife, he has no enthusiasm for patching up the family unit. For years he has been passed over for promotion, preferring to alienate his fellow officers with his cynicism and contempt for espirit de corps. It hardly helps ingratiate the prickly detective to his colleagues when he gets a bee in his bonnet over the apparent open-and-shut overdose death of a young supposedly former junkie. Yet, Guo has a soft-side. He regularly volunteers at a long-term care hospital and looks out for Xiao Wen and Xuan Xuan, the two cute young women who work at an all-night betelnut kiosk. Perhaps, they are all linked by some secret in Guo’s past, but Cheng will not yield them up too quickly and Guo certainly isn’t talking. While Tears is somewhat coy about where it’s headed, at least it has someplace to go. Some of the more self-indulgent directors of the Romanian New Wave (ahem, Cristi Puiu) should take note of how Cheng crafts a deliberately paced intimate character study that never feels like a drag. In fact, Tears is quite an intense, if slightly idiosyncratic, variation on the cop in search of redemption story. Tsai Chen-nan is pitch-perfect as Guo, looking like the personification of world-weariness. He perfectly captures the bearing of a veteran cop, while projecting the turmoil churning deep below his façade of resignation. Taiwanese singer-songwriter Enno Cheng also sneaks up on viewers, bringing substantial nuance and depth to Xiao Wen. If not as demanding a role, Taiwanese heavy metal superstar Doris Yeh is at least suitably energetic as Xuan Xuan. While Hsin-Hua Feng’s digital cinematography is rather pedestrian and several flashbacks from minor players merely serve as unnecessary distractions, the combined strength of Guo’s character and Tsai’s performance doggedly pull viewers through. 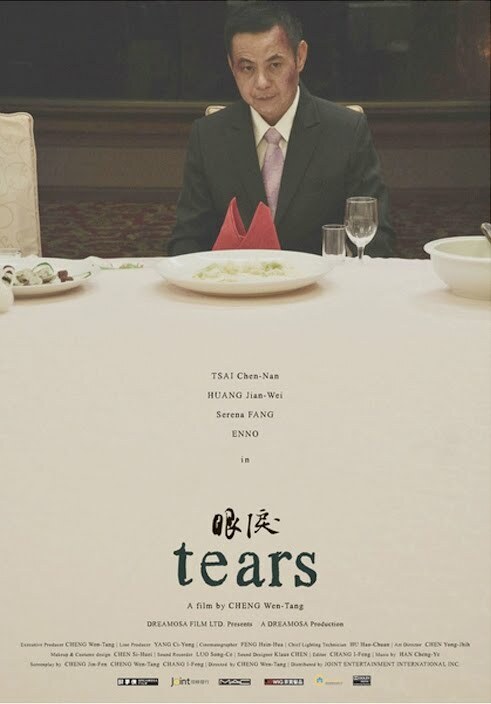 A gritty, street smart film that definitely earns its occasional moment of sentimentality, Tears is a very strong selection for Taiwan Film Days. It screens this coming Saturday (10/24) and Sunday (10/25) at the Viz Theater in San Francisco.